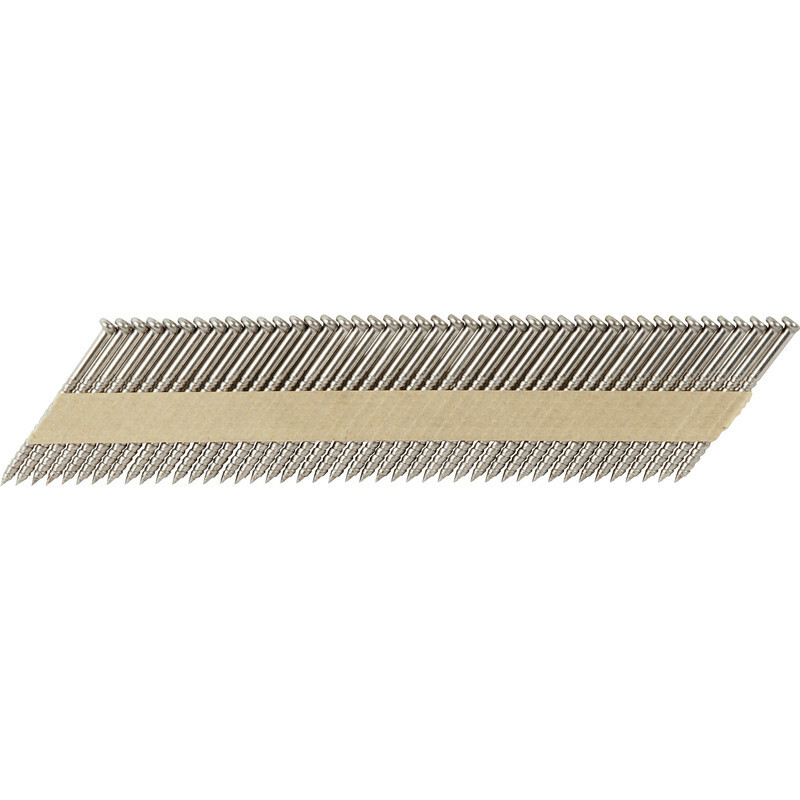 Clad-Tite Removable Collated Nail 3.1 x 50mm (1100 Pack) is rated 4.5 out of 5 by 2. Rated 5 out of 5 by Eloc from Excellent Used several thousands of these to fix 20mm thickness Siberian Larch cladding onto a new built exterior. Nice to be able to unscrew them with torx bit if needed. (Note, the head is necessarily offset from centre, so widens the hole a few mm if unscrewed). They are not cheap but well worth the money. Rated 4 out of 5 by Gen build from Work well Bought these to clad a shed. Work well. Have to set nail gun up exactly which takes a bit of time. Easy to remove if necessary and then re use via screw driver.